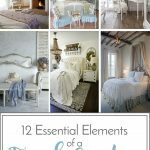 I mentioned in my post about the essentials of a French country bedroom that I have always wanted a faux fireplace in my bedroom. 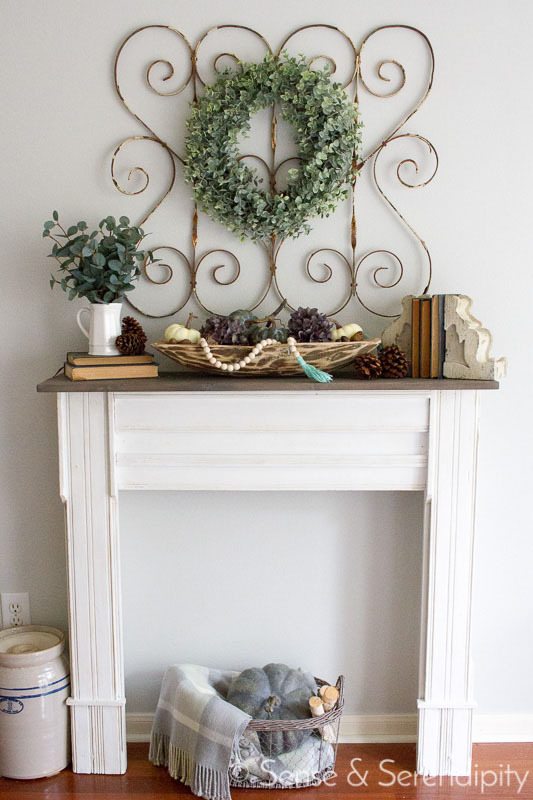 Well, a few weeks ago, I decided to go on the hunt for a small and (hopefully) inexpensive faux fireplace that might work in my space. I headed out to my local antique mall and just spent a couple of blissful hours wandering around lusting after all the vintage and antique goodness. 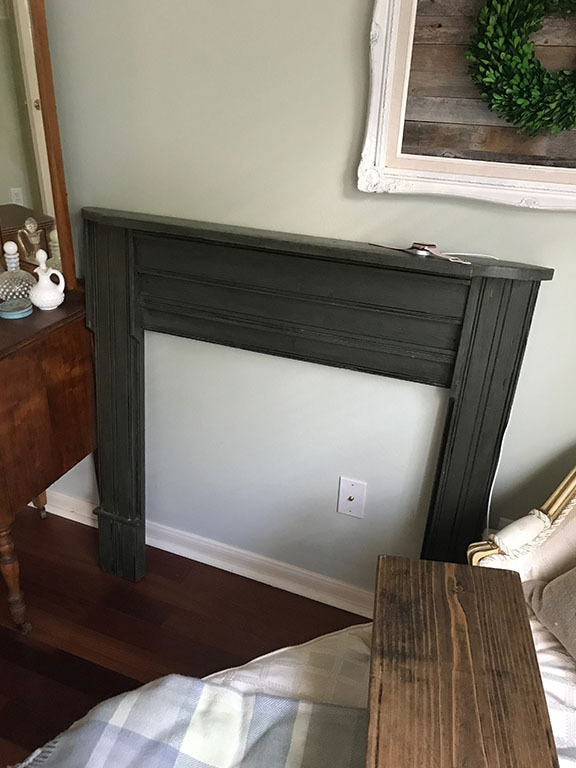 I really didn’t expect to find a fireplace that would work right away but, wouldn’t you know it, I actually found one and it was pretty reasonably priced! 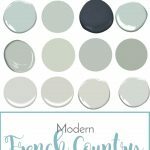 Granted, it was painted a dark green color that did not fill me with all the French country feels. And the mantel was missing a piece in one of the corners. And it was flush against the wall when I wanted it to come out about six inches or so. But these were all things I decided were minor obstacles. I snapped that puppy up, hauled it to my car and headed home with a stupid grin on my face. Here’s a terrible cell phone picture of the faux fireplace as soon as it came to rest in my bedroom. Let’s take a minute to admire it in all it’s green and busted glory. 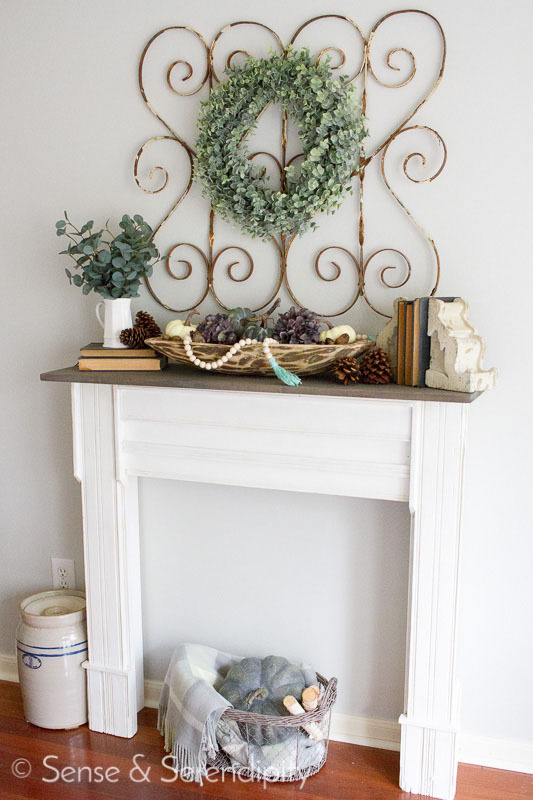 Not too shabby, but definitely not the French country fireplace of my dreams. So my first steps in fixing it up were to carefully remove the too-small, busted up mantel shelf at the top. Then I added a couple of 1X6 boards to the back of each side of the fireplace using my Kreg Jig (if you don’t have this tool, you need it in your life) so that it wouldn’t be flush against the wall (I basically added some depth). Then I measured how wide and long I wanted my mantel shelf to be and cut, sanded and stained the shelf and let it dry (the stain I used was a coat of Minwax Dark Walnut followed by a coat of Rust-Oleum Varathane Weathered Gray). While my shelf was drying, I got to work painting the rest of the fireplace. 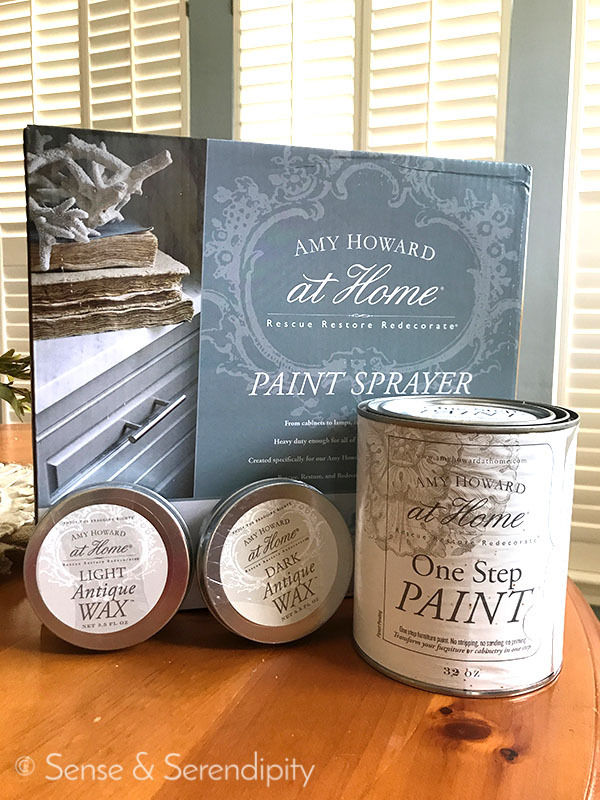 The folks over at Amy Howard at Home sent over a quart of their One Step Paint in Ballet White, their paint sprayer and some light and dark wax. 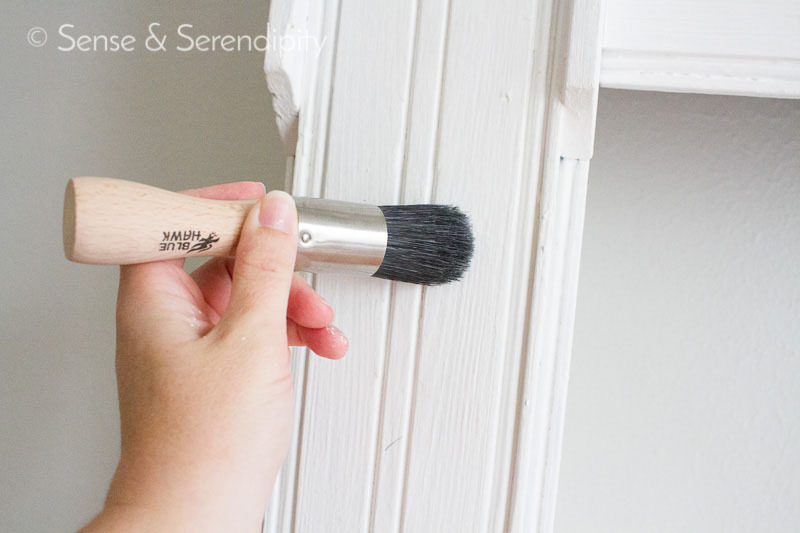 I love Amy Howard at Home One Step Paint; I’ve used it before and it goes on easy and has great coverage. I was super excited to try their new paint sprayer! Believe it or not, I’ve never used a sprayer to paint furniture before. I’ve always done it by hand and I honestly usually prefer it that way. But I wanted to give spraying a shot and I have to say it made things a lot quicker and the coverage was fantastic. I sprayed three thin coats over my fireplace, letting the paint dry to the touch before applying the next coat. Chalk paint dries a lot faster than latex, so it didn’t take long. Because my faux fireplace had some pretty deep groove work, I found that the sprayer wasn’t getting in there as deeply as I needed it to, so after my third coat had dried I took my piece inside and did a few touch ups using a fine bristled brush. 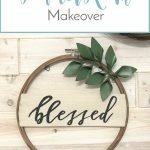 Once my touch-ups were dry, it was time to add a bit of age to my faux fireplace with the waxes! 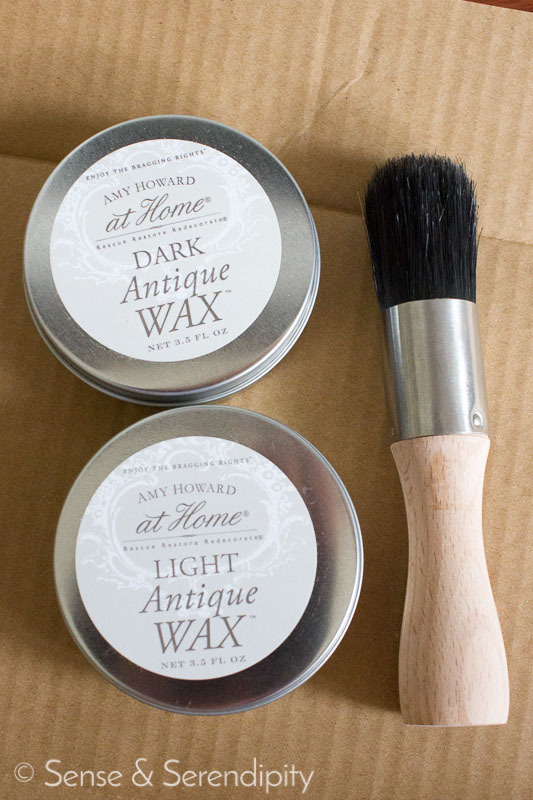 With dark wax, you want to be even more conservative and concentrate mostly on the edges of the piece. 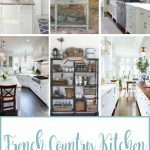 You’re essentially creating a bit of wear and age to your fresh paint to give it that well-loved, vintage look. After my dark wax dried, I used a soft, clean cloth to buff out the piece. 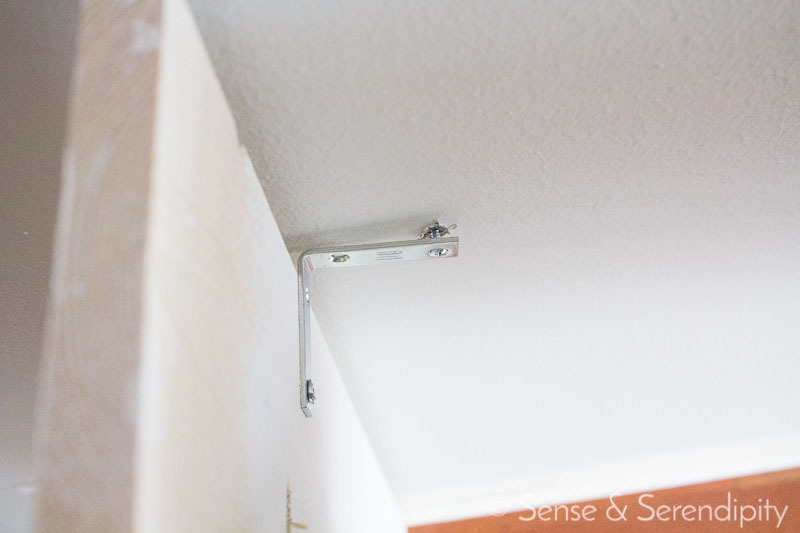 Before adding my mantel shelf back on, I secured the fireplace to my wall using L-brackets and drywall anchor screws. Finally, I used a drill and self-sinking screws to attach the shelf back onto the faux fireplace and then I was ready to style it! Didn’t it turn out great?! I love the Ballet White against the gray of my bedroom walls (Gray Owl by Benjamin Moore, to be exact). I also love how my new mantel shelf is just the right shade of weathered gray with warm undertones. I’m so glad I decided to add a bit of depth to the fireplace by adding those 1X6 boards. I also love how the new mantel shelf widened my decorating space by at least six inches! 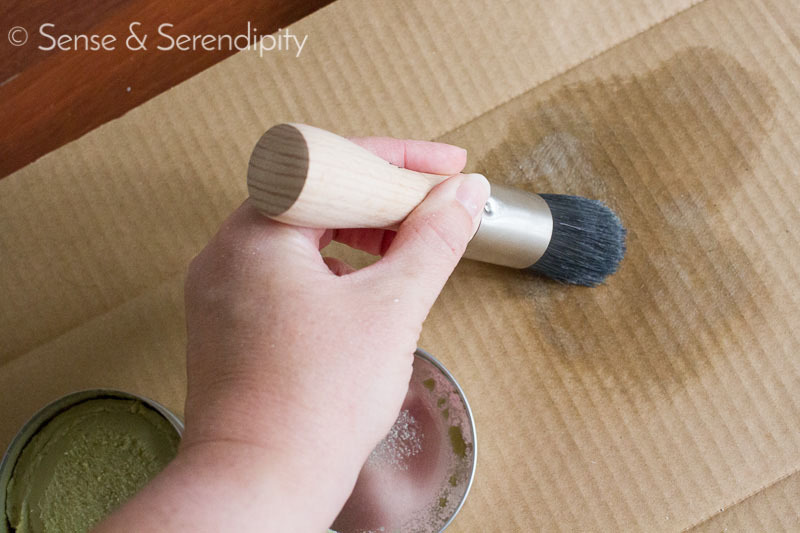 If you haven’t tried chalk paint yet, you really need to. 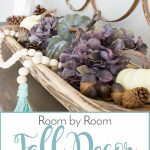 It is SO EASY to use and Amy Howard at Home One Step Paint is some of the best I’ve used. 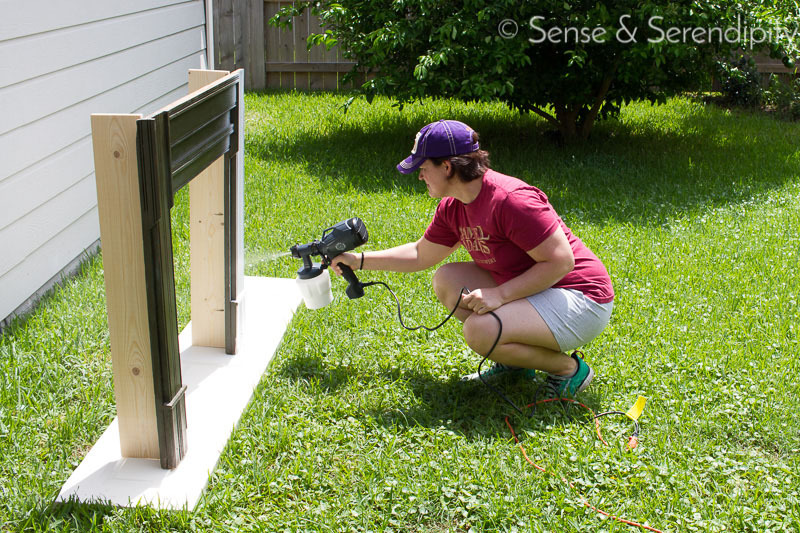 You can order it online or find it at select Ace Hardware stores (pick up that paint sprayer, y’all–serious time saver!). I still have to add a faux backing to the fireplace and I have plans to make a beautiful birch candle “centerpiece” to go inside the fireplace. But for now, I’m loving the way it looks in our bedroom and I’m so happy with how it turned out! 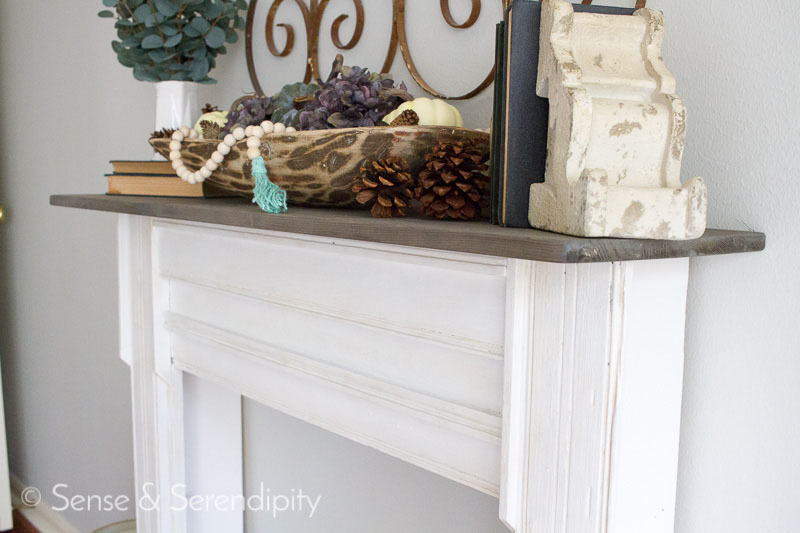 Have you brought new life to a piece of furniture with chalk paint? 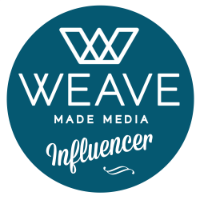 I absolutely love reading and seeing all that you do in your blog posts! This one has to be one of my favorites! I love it! Thank you for always sharing your creations! Oh my goodness! I am in love with this faux fireplace in a bedroom. 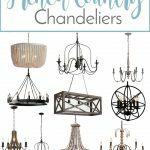 I’ll be pinning this to show my hubby because this would be so pretty with a tv mounted over it instead of it sitting on top of our dresser. I feel like this gives a bedroom such a cozy vibe! 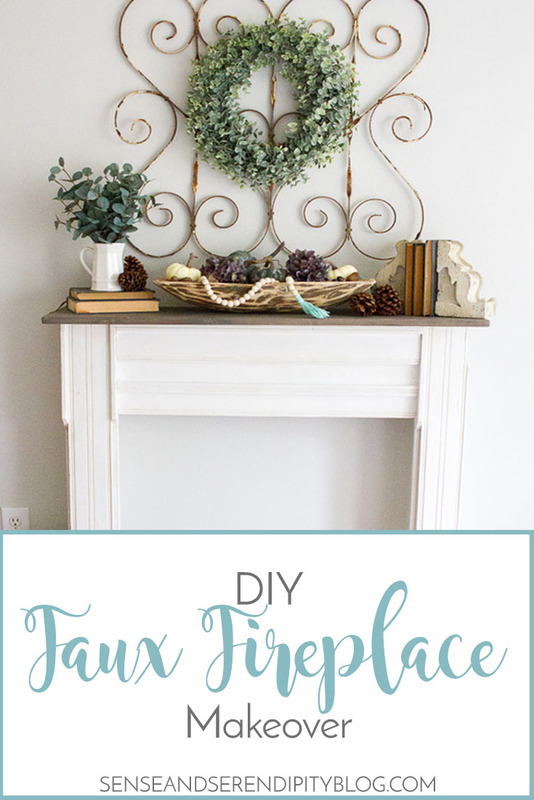 I love this DIY fireplace. It’s perfect and looks absolutely beautiful!!! OMG, Cheyenne! I love this. Mmmm…now you have the wheels in my head spinning. I might just have to go antiquing! I love this SO much! I have been on the hunt to find something like this for a while now. You’ve inspired me to get back out there and look for one again! Oh my goodness, I love it! It looks beautiful!